Digital or Analogue: Which is For Me? Home > The Digital Revolution > Digital or Analogue: Which is For Me? To many outsiders, it would appear that the race between digital and analogue photography methods has been well and truly won, with digital emerging as the undoubted winner. The advent of digital has been a godsend for consumer photography, allowing enthusiasts and casual photographers to carry a tiny piece of equipment that will store tens of thousands of snapshots. However, while many professional photographers have made the move to digital, it still has its detractors. Your choice between digital and analogue photography will depend entirely on your own needs and circumstances. However, in order to make any such choice it is important to understand the differences between the two technologies. For many professional photographers, the quality of film simply cannot be matched. Many photographers, particularly those doing fashion or portraiture, revel in the 'human' quality of an analogue print, contending that it offers something intangibly unique and unrivalled by digital. Furthermore, it is often suggested that the act of making and processing your own prints allows for a more physical interaction between photographer and photograph. The disadvantages of analogue are rather more prosaic. In the first instance, if you are taking a large number of shots, your bill for film and development will be huge. 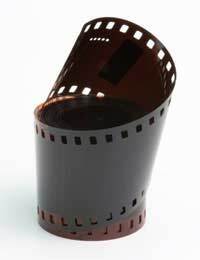 It is becoming more and more difficult to source film, and fewer print processing labs are in existence. Furthermore, while analogue developing equipment is easy to come by, it can take up a lot of space and a lot of time. Digital, on the other hand, allows photographers to snap with impunity, without having to worry about the cost of the media. This has positive and negative effects; while it is clearly economically better, there is an argument that says photographers have become too snap-happy as a result of digital, and are no longer thinking as hard about producing the perfect image before pressing the shutter. Digital also allows for a huge breadth of processing techniques, achievable by those with little computer experience and only relatively cheap software. It is simply impossible to produce in film what a few clicks of the mouse can do in Photoshop. However, camera manufacturers still struggle with the challenge of rendering black and white digital photographs; even today photographers tend to shoot in colour and change to black and white in post production. If you choose to stick with analogue, it is likely because you are either irreconcilably attached to the quality of image that film can produce, or you are reticent about relying on a new technology. However, you should give some thought to the type of work that makes up the bulk of your photographic output, and think about which medium suits you best. For example, if you are considering photojournalism then digital will revolutionise the way you work. You need never worry about missing a key shot for lack of film, and many images shot in unfavourable conditions can be salvaged in post production. However, if you are producing fashion or portraiture, you may prefer to work with a medium or large format camera. Digital equivalents are still very expensive, and you may therefore prefer to stick with analogue. Choosing between analogue and digital will have a significant impact on your workflow for many years to come. As such, you should think carefully before you make the leap.